Wilstermann players celebrate after scoring a goal in the 6-2 win over Penarol. 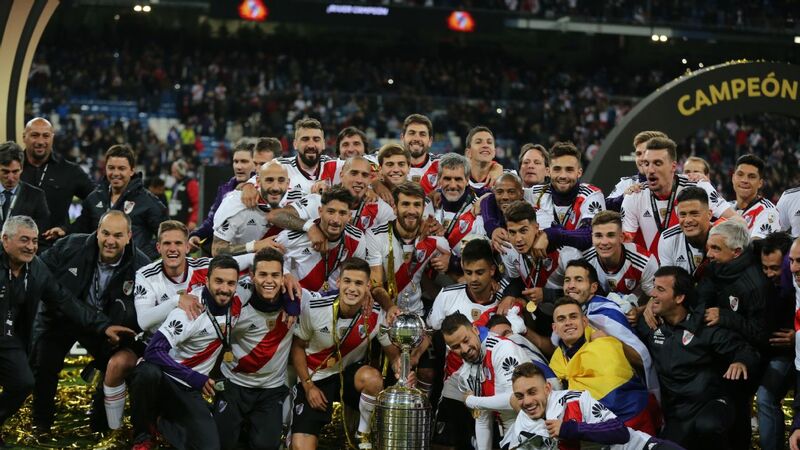 After two weeks of the group phase of the Copa Libertadores, the competition now takes a three-week break. Here are some facts from the opening fortnight's action. The very first game in the history of the Libertadores, on April 19, 1960, was between Penarol and Jorge Wilstermann, champions respectively of Uruguay and Bolivia. Penarol won 7-1 -- an entirely logical result. Back then, Uruguayan football was still a gigantic force at both club and national team level, and Penarol were on their way to lifting the trophy. The Bolivian game, meanwhile, was still in comparatively early stages of development. Fast forward 57 years, and when the same two sides met on Bolivian soil, this time Wilstermann cruised to a 6-2 win. 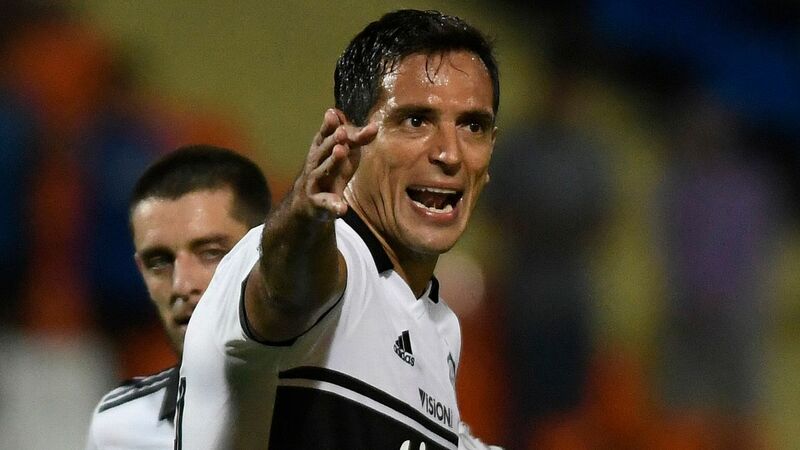 At club level, Uruguayan football has fallen badly while the last couple of years have shown signs that the Bolivians might be making progress. And those signs are especially prominent this year. 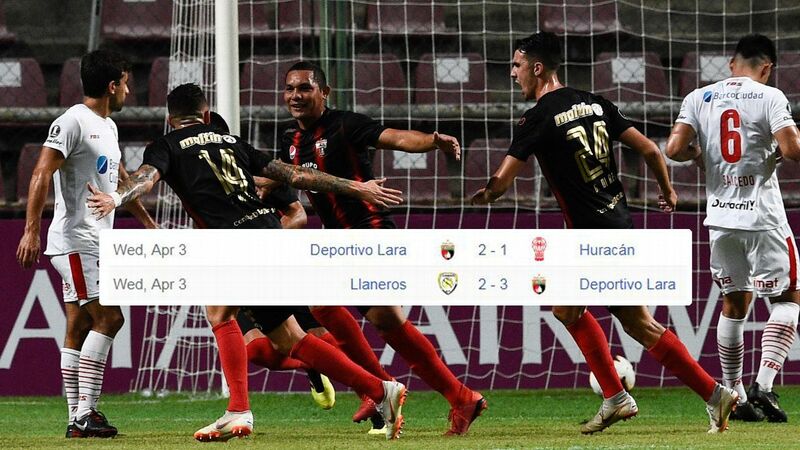 Debutants Sport Boys Warnes drew their opening game 3-3 and anything they get from their first Libertadores campaign is a bonus. The other two sides, Wilstermann and The Strongest, managed convincing home wins and performed with credit away. 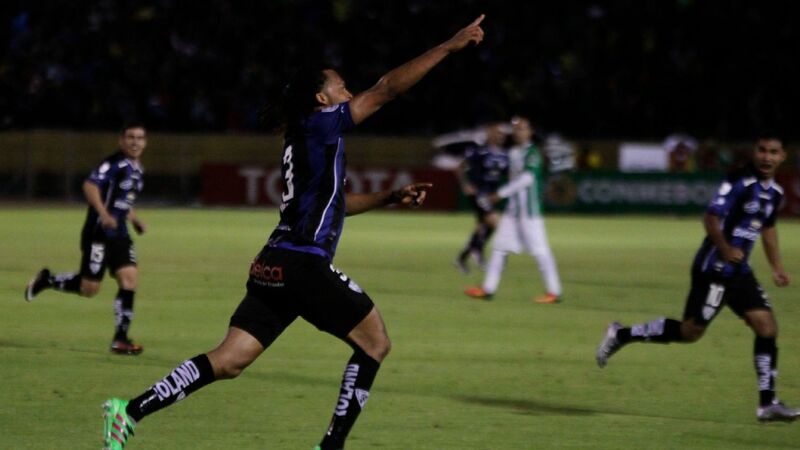 Wilstermann went down 1-0 to Brazilian champions Palmeiras, who scored with in the 97th minute on the last kick of the game, and The Strongest were looking impressive against Santos of Brazil until losing a man to a red card paved the way for a 2-0 defeat. But the most convincing evidence so far of changing times came from Uruguay, where Penarol's great local rivals Nacional, three times champions, were beaten at home by Zulia of Venezuela, a club from South America's least traditional football country who were only founded in 2005. So far the six clubs from Argentina have accumulated just two wins, with two draws and five defeats. True, this would not seem to be anything like the strongest group of teams to have represented Argentina in the competition, and some of them would consider it a success merely to make their way out of the group phase. Even so, an improvement can be expected. So far, the Argentine clubs have been hampered by their domestic football crisis, which meant that that local league did not get underway until last weekend. The clubs -- with the exception of first-timers Atletico Tucuman, who had to fight their way through two rounds of qualifying, have gone into the group stage of the Libertadores with little or no competitive action behind them. This has clearly left them short of match fitness. San Lorenzo's opening game, away to Flamengo of Brazil, is a fine example. The Argentines shaded the first half, but as soon as they went behind shortly after the restart the outcome was not in doubt. They lacked the legs to chase their way back into the game and crashed to a 4-0 defeat. A second defeat has left them in a tricky position, and it may well be asking too much for them to fight their way back into contention. 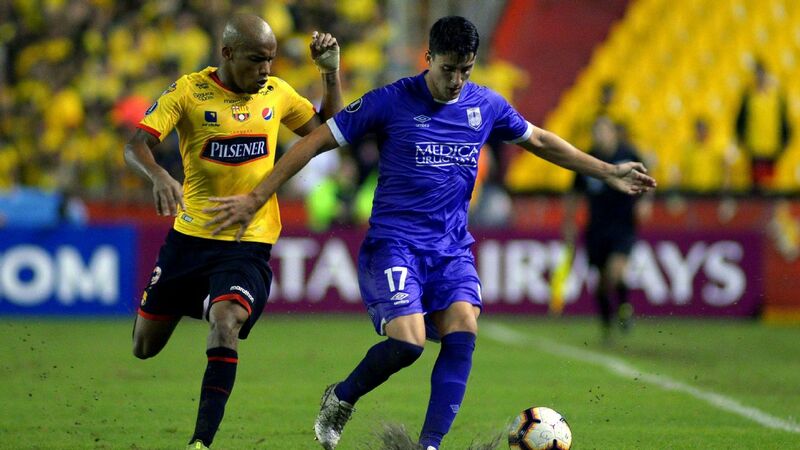 But by the middle of March, when the Libertadores resumes, they and the other Argentine clubs should have had enough time to play themselves into form and fitness. 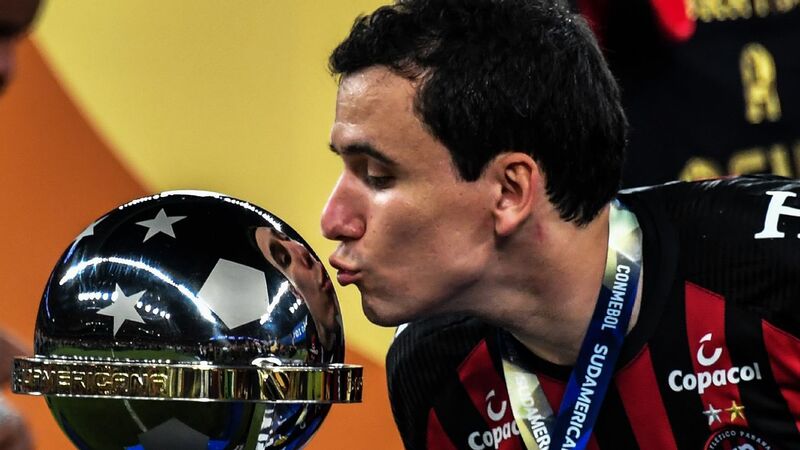 Flamengo fans will be hoping their team can win the Copa Libertadores this season. A Brazilian champion is this year's most likely outcome, but there is plenty of room for improvement. The expansion of the competition means that Brazil now have eight teams -- a quarter of the field. The absence of the Mexicans, the problems of the Argentines, the fact that reigning champions Atletico Nacional of Colombia are in a transitional phase -- all of this points towards a conclusion that the trophy should be bound for Brazil. The early numbers bear this out. Brazil's clubs have collected seven wins, with four draws and just two defeats. It is true, though, that so far there has been little sparkle. Just 20 goals from these 13 games is not an outstanding return -- especially when it is taken into consideration that four of them came against a San Lorenzo side that was severely lacking in adequate preparation. The Chilean press pointed out that Flamengo's wage bill is 10 times greater than that of Universidad Catolica, the Santiago side who nevertheless beat the Brazilians 1-0 this week. The Brazilian clubs have a huge financial advantage over their continental rivals -- but, as in recent years, this gap is not being borne out by convincing performances on the field. Still, Brazil is likely the home country of this year's eventual winner.